There are two things that are "nice to do for career" early on in the new year. One is updating your resume. The second is evaluating your support team or, as I refer to it, my board of directors. Let's begin with the first item - updating resume. Why do it now? Well, one reason is to insure that you take the time and do it. A great way to feed your updates is keeping a "kudos" list of accomplishments and acknowledgements throughout the year. Then, you review that list and use the ones that will add value and impact to your resume content. If you have too many bullets (rule of thumb is about 7 under your most recent position), then it may be time to clean house and remove older bullets or ones with less impact. OR, you can leave them all on and only pare down when you are applying for a position or using your resume for an introduction. For the second tip, I am including the link to a mid year post of mine in 2015. http://designyourdirection.blogspot.com/2015/08/getting-to-career-success-finish-line.html This post describes in detail why it's important to have a support group for career success. And, while you are at it, develop a support team - your board of directors - for support of achieving personal life goals, too. I'm planning to do this for myself. We all benefit from the support of others in our lives. 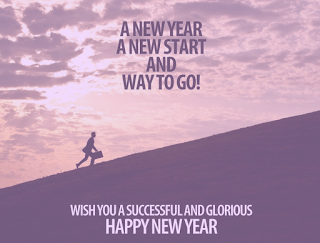 Have a great start to 2016. It's a year of rebuilding and now is a good time to start.